Jonathan Beyer has performed with the Metropolitan Opera, Boston Lyric Opera, Teatro Petruzelli, Oper Frankfurt, Dallas Opera, Opera Company of Philadelphia, Pittsburgh Opera, Chicago Lyric Opera, Austin Lyric Opera, Chicago Opera Theater, Fort Worth Opera, Hawaii Opera Theater, Munich Philharmonic, Chicago Symphony, Philadelphia Orchestra, Netherlands Radio orchestra and others in a wide variety of roles including Figaro in Il Barbiere di Siviglia, Malatesta in Don Pasaquale, Papageno in Die Zauberflöte, Escamillo in Carmen, Marcello in La Boheme, and Richard Nixon in Nixon In China. In the 2016-2017 season Jonathan will sing Enrico in a production of Haydn’s L’Isola Diasbitata with Chicago’s Haymarket Opera, Marcello with Oper Frankfurt, Guglielmo in Cosi fan Tutte with Opera Pasadena, Belcore in L’Elisir d’Amore in Belle en Mer and appear with the Lansing Symphony and Southwest Michigan Symphony as the soloist in Beethoven’s 9th Symphony. He will also perform concert and recitals in Miami, Chicago, Philadelphia, North Carolina, Rochester and Canada. Other future engagements include Turandot with the Vancouver Opera. 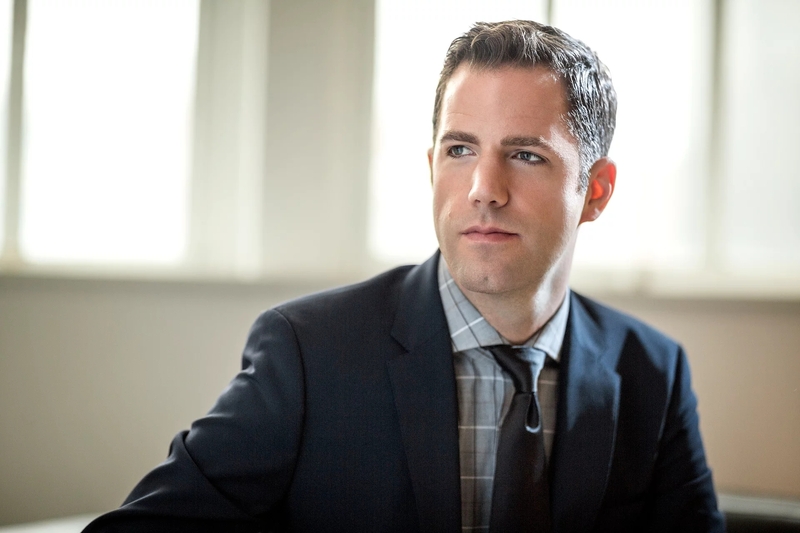 In the 2015-2016 season, Jonathan will sing Marcello with the Boston Lyric Opera, cover Danilo in the Merry Widow with the Lyric Opera of Chicago, sing Malatesta in Don Pasquale with Opera Naples, Figaro in Barbiere di Siviglia with the Pittsburgh Opera and Dr Falke in Die Fledermaus with Florentine Opera, and Guglielmo in Cosi fan Tutte in Belle Ile en Mer. 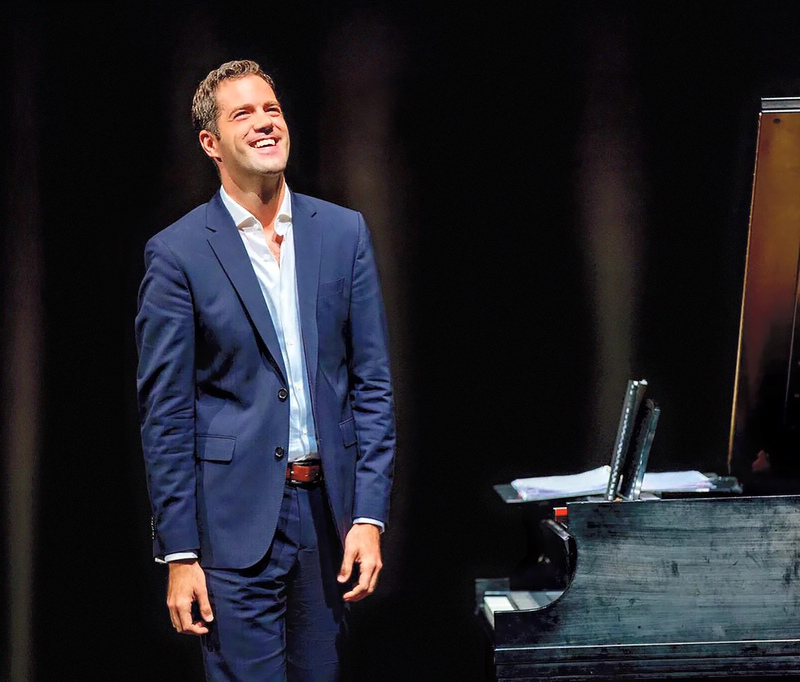 He will also appear in a concert version of Salome with the Detroit Symphony as well as concerts with the Cliburn Fesitval and the Vero Beach Opera. 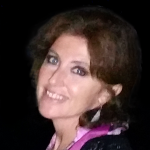 Other upcoming engagements include Marcello with Oper Frankfurt. 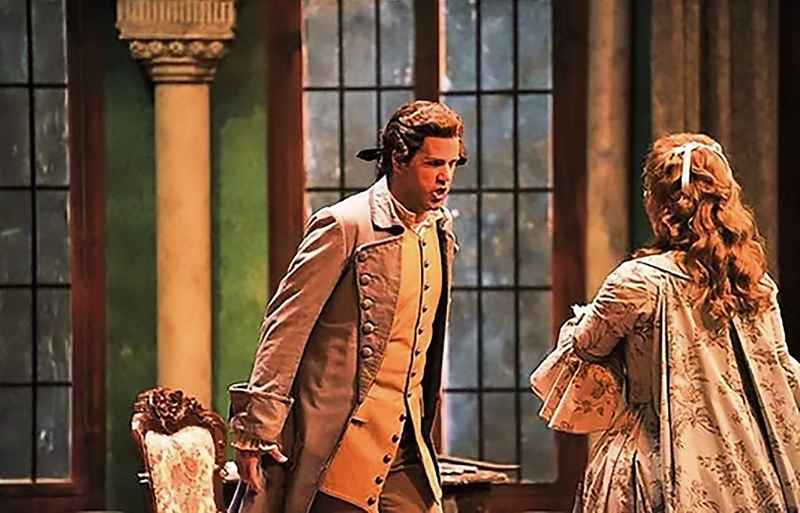 In the 2014-2015 season, he returned to Opera Philadelphia to sing Figaro in Il Barbiere di Siviglia, a role he also sang with Opera Theater of Saint Louis. He made a role debut with Anchorage Opera as Sharpless in Madama Butterfly, and returned to the Dallas Opera to sing Marcello in La Boheme. 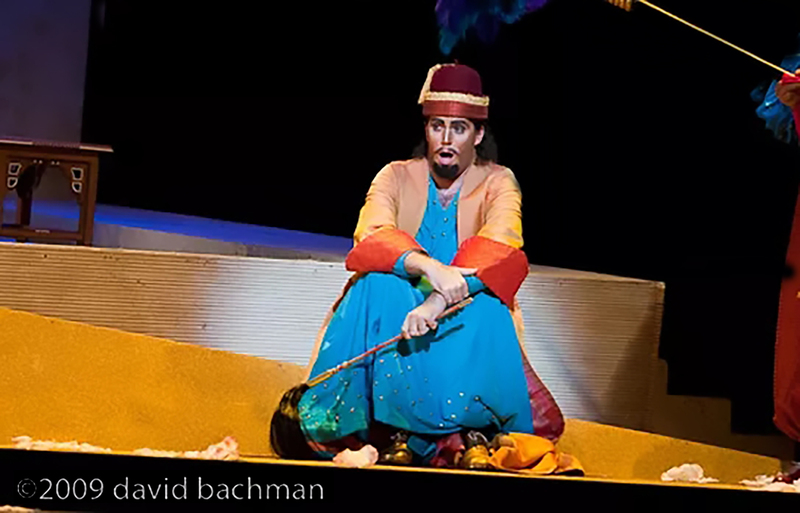 He finished the season by debuting with the Cincinnati Opera as Ping in Turandot and singing Curly in Oklahoma with the Southwest Michigan Symphony. 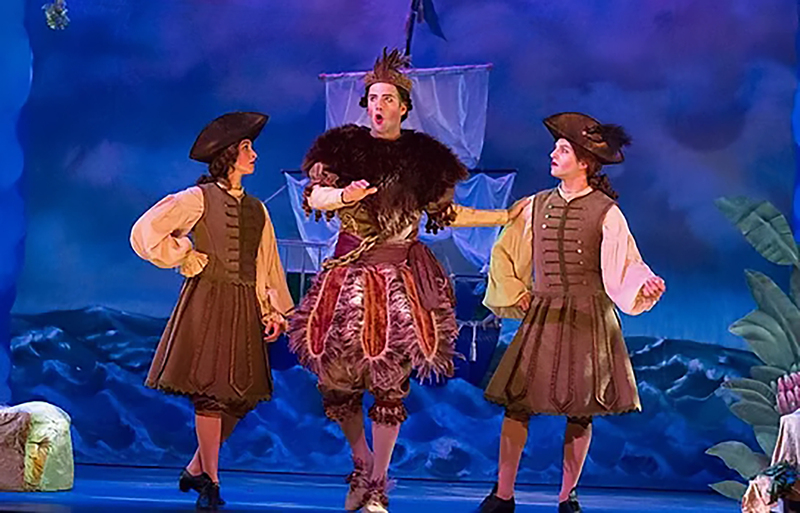 In the 2013-2014 season, he made his debut with Anchorage Opera as Enrico in Lucia di Lammermoor and as Danindi in La Cenerentola with the Green Mountain Opera Festival. He returned to the Fort Worth symphony for title role in Mendelssohn’s Elijah. 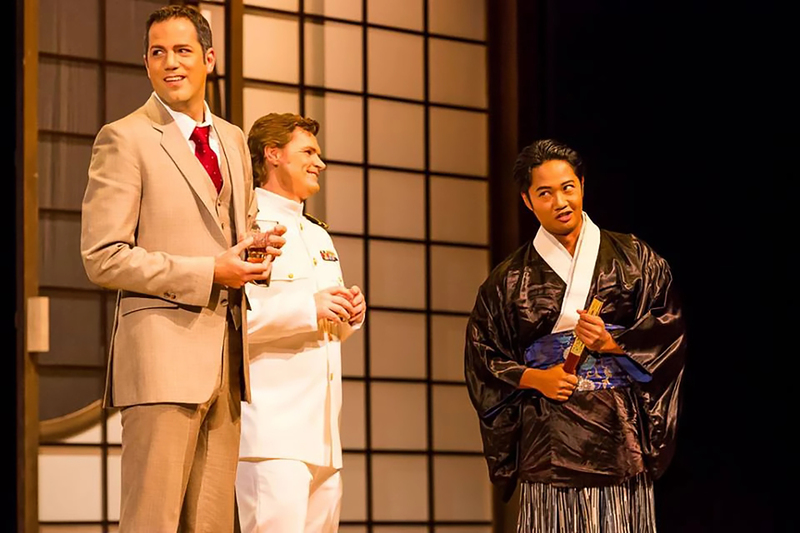 He will also make his debut at Opera de Montreal and Hawaii Opera Theater as Ping in Turandot, as well as performing a recital with the Logan Chamber Music Series in Chautauqua New York. In the 2012-2013 season he makes debuts with the Munich Philharmonic and the Royal Symphony of Oman singing Schaunard in La Boheme under the baton of Lorin Maazel. He will return to Austin Lyric Opera for the Count in Le Nozze di Figaro, to the Dallas Opera for Ping in Turandot, to Lyrique-en-Mer for Figaro in Barbiere di Siviglia and Escamillo in Carmen, and to Oper Frankfurt for their new production of Les Vepres Siciliennes. He will also make his recital debut with the Philadelphia Chamber Music Society. 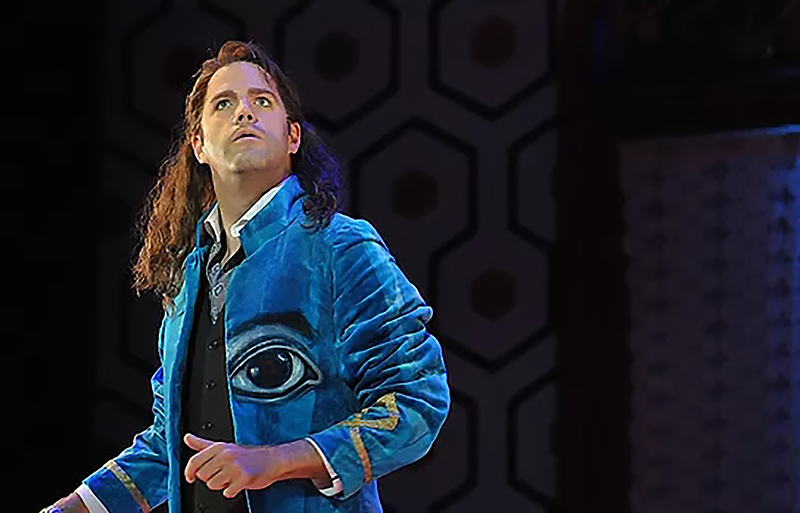 In the 2011-12 season he made his Metropolitan Opera debut as Wagner in a new production of Faust, debuted Italy in Bari as Figaro in Il Barbiere di Siviglia, the Count in Le Nozze di Figaro with the Ft. Worth Opera, Figaro in Il barbiere di Siviglia with Boston Lyric Opera, and Escamillo in Carmen with the Opera Company of Philadelphia. In concert he debuted Carnegie Hall with Stravinky’s Canticum Sacrum with American Symphony Orchestra and the Ft. Worth Symphony performing Copland’s Old American Songs. He also sang the roles of Figaro in Il Barbiere di Siviglia and Schaunard in La Boheme at the Castleton Festival and Dandini in La Cenerentola with Lyrique-en-Mer. In the 2010-2011 season Mr. Beyer sang the role of Schaunard in La Bohème with Hong Kong Opera and in Castleton Festival with Lorin Maazel, L’Heure Espagnole with Opera Frankfurt, Lescaut in Manon with Knoxville Opera, and Jonathan Dove’s Flight with Austin Lyric Opera. In concert, he was heard as a soloist in Mahler’s Knaben Wunderhorn, Symphony in C and Vier Ernste Gesänge with the Philadelphia Brahms Festival, National Chorale’s Carmina Burana at Lincoln Center, Tosca with the Ravinia Festival, and performed a recital at Weill Hall with the Carnegie Hall Foundation. In previous seasons, Mr. Beyer sang Beethoven’s Ninth Symphony with the Philadelphia Orchestra, Haydn’s Creation with Netherlands Radio Orchestra, Candide with the Chicago Symphony Orchestra, Billy in Carousel with the Southwest Michigan Symphony and a concert with the MSFO at the Chautauqua Institution. He has also appeared with the Chicago Symphony, Pittsburgh Symphony, Indianapolis Symphony, Lorin Maazel’s Châteauville Foundation, Chatam Baroque, Baton Rouge Symphony, Vermont Symphony, the Erie Philharmonic and the Festival at Aix-en-Provence. Mr. Beyer has performed in recital with Craig Rutenberg, Mikael Eliasen, Kristin Okerlund, Martin Katz and Brian Zeger. He has given recitals through the Vocal Arts Society, Philadelphia Chamber Music Society, Carnegie Hall Foundation, Marilyn Horne Foundation, Chicago Cultural Center, Judith Raskin Foundation, Bertlesmann Foundation, McCammon Recital Series, Huntsville Chamber Music Guild, Pittsburgh Concert Society, Over the Rainbow Foundation, Astral Artists, and the Marian Anderson Foundation. He has degrees from the Curtis Institute of Music and the Chicago College of Performing Arts at Roosevelt University. Mr. Beyer was a National Finalist in the Metropolitan Opera National Council Competition. He was the Grand Prize winner at the 2011 George London Foundation and was the 1st Place Winner at the Marian Anderson Prize for Emerging Classical Artists. He has also won the McCammon Competition, Irma M. Cooper Competition, Violetta DuPont Competition, Rochester’s Classical Idol, New Jersey Verismo Competition, Philadelphia Orchestra’s Greenfield Competition, Astral Artist Auditions, Pittsburgh Concert Society Auditions, SAI Competition, American Opera Society Competition, the Union League Civic and Arts Foundation Competition, and the Bel Canto Foundation. He has also received awards from the Sullivan Foundation, Gerda Lissner Foundation, Jensen Foundation, Solti Foundation, Loren L. Zachary, Irene Dalis, Liederkranz, Charles Lynam Competitions, Licia Albanese Puccini Foundation, Orpheus Competition, National Opera Association, Anna Sosenko Foundation, Shreveport Singer of the Year, Mario Lanza Foundation, Dresden Opera Competition, NATS, Giulio Gari Foundation, Palm Beach Opera, Jose Iturbi Foundation, Paris Opera, New Jersey Opera, Annapolis Opera, Liederkranz and Neue Stimmen competitions.